Having relinquished and ultimately collapsed on most key negotiating positions in order to placate Iran and bring home a final nuclear deal from Vienna, the White House PR machine is in overdrive. The breathtaking litany of concessions on the duration of the Iran nuclear agreement, the upfront lifting of sanctions, the lifting of the conventional arms embargo, the granting of Iran the right to enrich uranium on its own soil and to continue to do so during the agreement—forced the Obama administration to pivot and make the case that the strength of the nuclear deal rests on the "robust" and "unprecedented inspection and transparency measures" including, "cradle-to-grave accountability" as Secretary of State John Kerry told the House Committee on Foreign Affairs on July 28. The television ads that seek to validate the deal have adopted the same script. The overall strategy, apparently, is to set American minds at ease because the U.S. will know if Iran cheats and will be prepared to respond accordingly. But as more details emerge, the final leg of the White House's sales pitch is beginning to crumble as well. Indeed, the more the American public learns about the Iran deal, the less they like it. Whether citing polling data from CNN/ORC, Pew Research, Quinnipiac University, or NBC/Wall Street Journal, they underscore the same sentiment: There has been a precipitous drop in support since the agreement was announced in July. Between a half to two-thirds of the American public currently reject the deal. Those numbers were flipped in reverse before the agreement was finalized. More troubling from the Obama administration's perspective is that these sinking polls were taken before the Associated Press revelation of the secret deal worked out between the International Atomic Energy Agency (IAEA) and Iran. In the agreement—that the Obama administration withheld from Congress—Iran will be allowed to collect its own soil samples at the Parchin military (and alleged nuclear) site and then share it with the IAEA. That is like having a baseball player mail in his sample for a drug test from his own home. The reason that access to Parchin is so important is because of an IAEA safeguards report released in November 2011. Commenting on the report, the Institute for Science and International Security explained, "Iran constructed a large explosives containment vessel or chamber at the Parchin military complex in 2000 to conduct high explosive and hydrodynamic experiments related to the development of nuclear weapons." It bears noting that three primary components are required to make a nuclear weapon: The first is enough fissile material to make an explosion. The second is the delivery system or a warhead that can be put on a missile. The third is a detonator that can make the fissile material on the missile explode at the right time and in the right manner. It is believed that Iran was working on number three at Parchin. This, itself, is something to be kept in mind when Obama admonishes the deals detractors and says, "the nature of nuclear programs and facilities is such, this is not something you hide in a closet. This is not something you put on a dolly and kind of wheel off somewhere." There are plenty of ways Iran can work on their nuclear program that do not involve radioactive isotopes. Detonators and the sensitive research needed to carry out such tests are far easier to hide than a uranium enrichment facility. The side agreement between the IAEA and Iran sets the precedent for the inspections of suspected nuclear sites in the future. So when the President declared at his July 15 White House press conference, "if we identify an undeclared site that we're suspicious about, we're going to be keeping eyes on it," he neglected to mention that the watchful eyes will be Iranian, monitoring their own suspicious activity. For the inspections regime as a whole, it means if the U.S. suspects a particular site, they will have to make that case publicly, possibly revealing sensitive intelligence methods, and after a minimum 24-day delay at Iran's discretion, Iran will then take its own samples and send them to the IAEA for further evaluation. That's more than the fox guarding the hen house; it's serving grilled, bite-sized hen to the fox. "Unprecedented" does not mean "effective" and this inspections regime is neither. For years the Obama administration said that any deal sealed with Iran would grant IAEA inspectors access to Parchin. Such access is required as a prerequisite to establishing a workable verifications regime. As Senator Bob Menendez (D-NJ) put it in his August 18 speech announcing his opposition to the deal, when it comes to the verifications regime, all we have is "a very expensive alarm system." Clearly, the Obama administration would have preferred that the side deal remain secret. Yet more ominous clouds gather on the horizon. 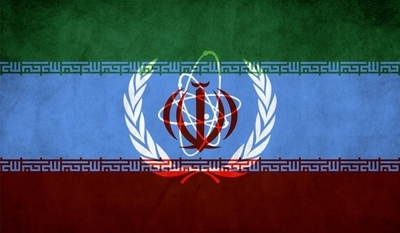 The short document obtained by the Associated Press between the IAEA and Iran is called, "Separate arrangement II." That means there is at least one other such secret side agreement that is being withheld from Congress and the American people. Given the litany of previous concessions and the fact that the more people hear, the less they like, its hard to imagine that the other secret deals will provide the magic bullet to bolster the White House's case.